NCT 127 members are in a relay to post #ShareYourEars photos for Disney's fundraising project. 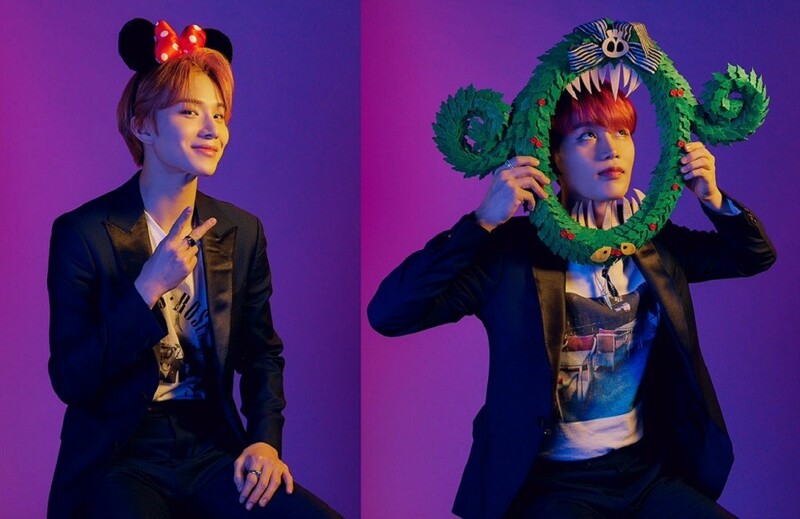 As we all wait for their performance on Disney Channel, NCT 127 began sharing photos of themselves wearing cute pairs of 'ears' for a good cause. Every time anyone publicly shares a photo on SNS showing off a pair of Mickey Mouse-style ears (or any type of interesting ears), Disney would donate $5 to 'Make-A-Wish' as part of 'Team of Heroes' initiative. So far, Jungwoo, Taeil, Haechan, as well as Taeyong, Doyoung, Johnny, and Win Win have posted the hashtags with the photos. From classic Minnie Mouse ears, to giant candy props, the boys seem to have had fun through the fundraiser! ABC's 'Mickey's 90th Spectacular' featuring NCT 127's performance will air tonight on November 4th at 8PM EST. Meanwhile, will you also #ShareYourEars? Stay tuned for more of NCT 127's hashtags as well! Nct 127 are really amazing in doing this. I will try to find some ears!